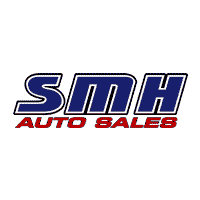 I was called by Rebecca, a car sales woman at SMH auto about a car I had seen online. She was very nice, helped me from beginning to end, worked with me and was able to get me approved for financing and ready days before I showed up at the dealership. Once there I met with Sedhiqa, the finance rep and worked with me until I was comfortable with the payment plan and coverage for my car. They went the extra mile to make sure I was comfortable, and I never felt rushed or forced into the car. I am happy to be part of the SMH family. Great service. Helpful and very friendly. Recommend to all buyers. Details were explained well and options were clarified. They worked very well with us while purchasing our vehicle. There was no pressure to buy and they were very patient and understanding with the buying process.